In the past, there weren’t many options for action if you obtained a Judgment and couldn’t find a place of Employment or Bank Account. Most of the time docketing the Judgment to put a lien on property was about it. Over the years, however, locating employment or bank accounts has become easier and less expensive. This will improve your collections significantly. It will also change what you do with a Judgment, saving docketing fees and docket removal fees. 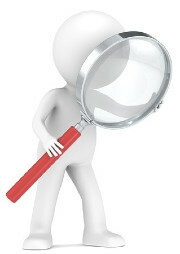 A Debt Collection Agency equipped with these search tools can now run batch searches on all Debtors having a Judgment. Most of the time, the search doesn’t find anything, but the search engine can be used repeatedly and continue running the search program for many years. And, with all that time, a search equipped Debt Collection Agency pull up Job Information on a large number of Debtors. Here is what it means to you. Obviously, it means more money. Which is good in itself, but you should also make some changes in considering what to do when Litigation is required on a claim. This new search ability makes Judgments more valuable and you should consider effective reactions to the new technology. First, you might want to proceed with litigation for large claims if an address is obtained regardless of asset information. If the debtor is of working age and had a real job when they applied for credit, they are likely to have a real job again in the future. It may take us years to find the new job, but a Judgment is good for a long time. Second, Judgments should NOT be docketed since there are extra charges to remove the docket in order to garnish wages. The Judgment you obtain is fully valid for the entire time limit established by each State even if it is not docketed. Docketing only serves to put a lean on existing or future property. A Judgment can always be docketed later. The bottom line is that litigation has become a more productive option when debtor’s refuse to pay your bills through the debt collection process. A small investment for Court Costs has a much higher possibility of getting you paid on a large claim plus added interest and fees. You are in business to make money. New search technology will help you make more of it. Understanding debt collection and background screening best practices can save your business big money. Building up front applicant screening into your business processes costs you very little, but saves you so much in the end. If you haven't already, partner with a full service debt collection and applicant screening company to guide your business to a place of security and prosperity. Contact us to sign up for a free account and get started protecting your business today.